If you can spare some time this morning please pop in for a coffee and some cake (It’s never too early for a slice a cake!) 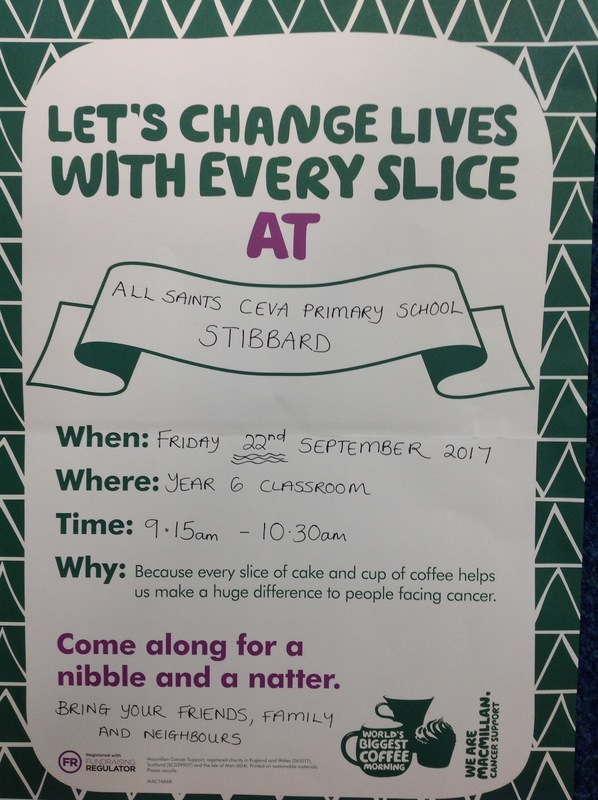 in aid of Macmillan Cancer Support. Year 6 will welcome you warmly. Please sign in at the office where you will find a Year 6 to bring you to the classroom. Previous Post Year 4 investigate string phones!